Humble Bundle has launched the Humble Sports Bundle, a package that’s exactly what you’d expect –sports games! For a maximum price of $12, buyers can purchase a wide variety of Steam games worth $220 in total. There’s also a free pack for Trekkies who visit the site; entering and subscribing (at no cost) to the Humble E-Mail service will grant you the Humble Trekkie Pack consisting of Phoenix lock boxes, a mercenary uniform, an XP boost, and your very own bridge officer. 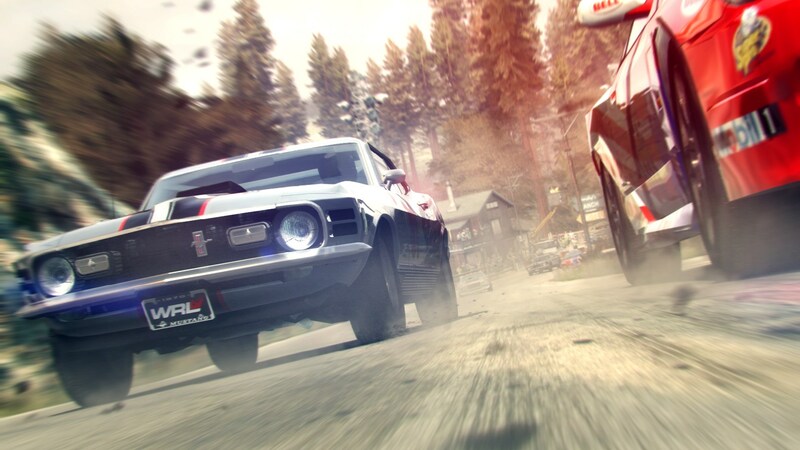 For the insanely meager price of $1, you’ll receive Grid 2 — a game about climbing the ranks of the racing scene. You’ll also receive a copy of SEGA Bass Fishing — made many moons ago yet still a cracking fishing game. Last but not least, Eastside Hockey Manager (bundled with SEGA Bass Fishing as they are both redeemed off the same key) — a game that allows you to take the reigns of a hockey manager. The next tier — priced at the average which is currently $5 — starts strong with motorsport manager, simulating the everyday undertakings of a motorsport manager (these titles are self-explanatory). The next title is none other than DiRT Rally from the legendary Codemasters who sterilized all games pre-DiRT 4. DiRT Rally takes to the picturesque locations of Wales, Finland, Sweden and others although you’re not there for scenery; no, you’re there to win a rally race! The final title in this robust tier is Super Blood Hockey — a game I can’t describe with words. The package also includes a hefty 75% off Football Manager 2018. The final tier is a copy of F1 2017! Wooo! It’s a good game, I’ve played a bit after nabbing a copy from Codemasters (yes, there’ll be a review in the near future). In short, It’s zooming around famous tracks as a budding F1 driver and It’s hellishly fun. Humble Monthly Subscribers can enjoy $10 store credit if they purchase this tier. A portion of the proceeds will go to Access Sport, a UK-based charity working to provide access for children to participate in sports. Buyers have the option to split their money between going to game devs or charities with hundreds of charities to choose from. So far the bundle has raised over $23,000 with 4,552 bundles being sold.